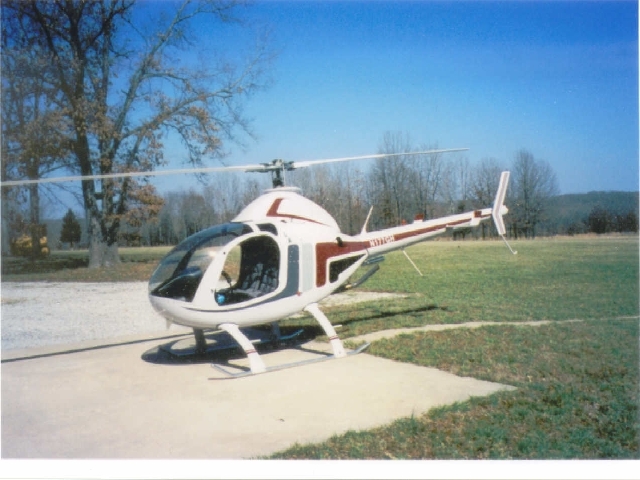 Carl Shirley Purchased his Rotorway 162F as a parts ship and brought it to Sho-Me Helicopters, LLC for a complete rebuild. 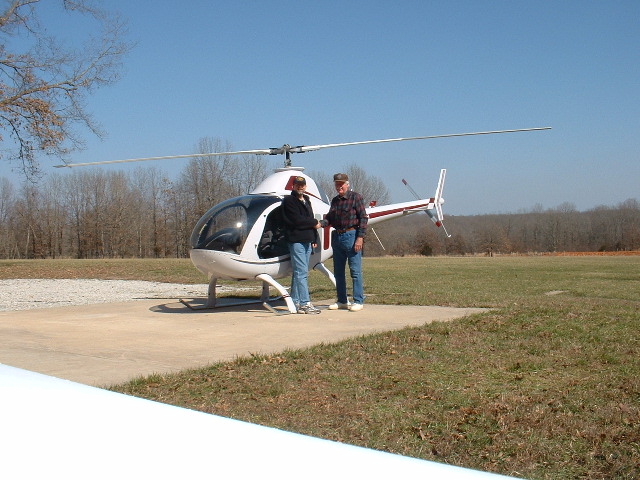 Following completion of the project Carl began his helicopter flight training with Orv Neisingh at Sho-Me Helicopters, LLC flight training center in West Plains, MO. Carl was at one time President Kennedy's aide. 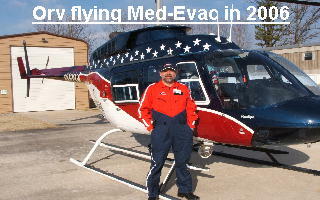 Carl said that hover training reminded him of the thrill of learning to fly the US Air Force fighters that he piloted. He retired as a United 747 Captain. 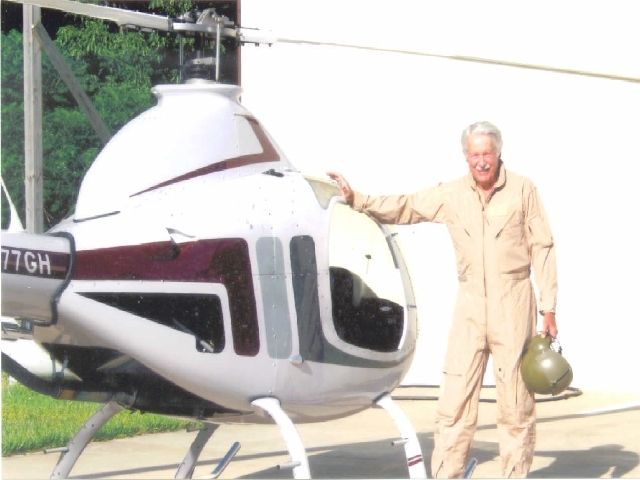 The above photo is of Carl following landing after a session of Phase II flight training with instructor Orv Neisingh. Carl's pride and Joy ready for a cross country flight. Carl and instructor Orv Neisingh following Carl's Phase one solo training.